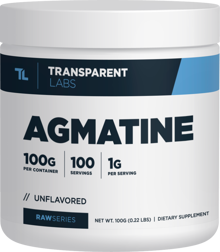 Agmatine is a metabolite of the amino acid L-arginine, and is known primarily for its function in assisting the central nervous system. It's stored within the neurons of the brain, and becomes released as neurons activate. 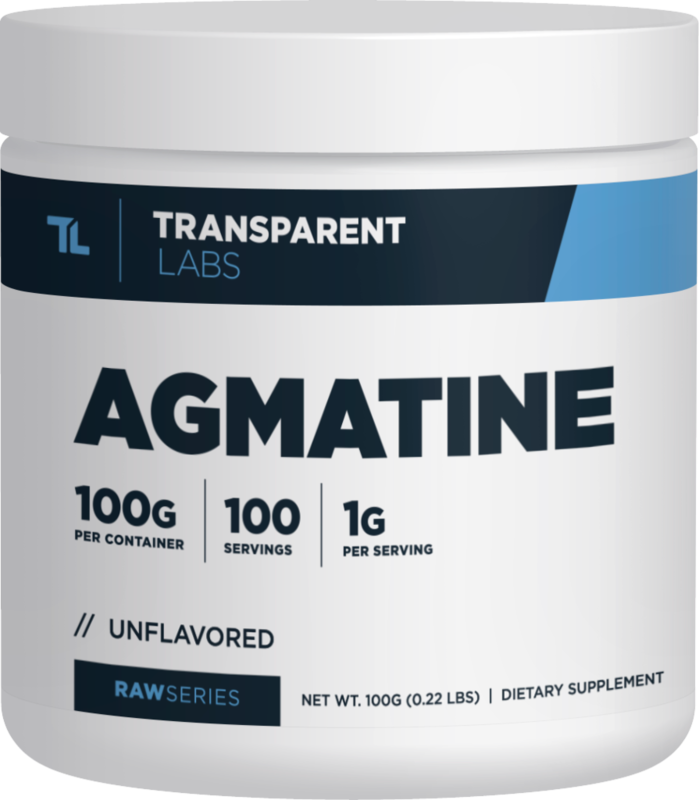 Agmatine is known to be one of the most diverse bodybuilding ingredients in our RawSeries single ingredient line. Along with its muscle-building properties, Agmatine also provides unique benefits relating to blood glucose levels, stress, anxiety, and cortisol levels, depression, blood pressure, stroke prevention, testosterone production. Serving Size: 1 Scoop (1 gram). Directions: As a dietary supplement, mix 1 scoop with 8-12 ounces of water. Consume 15-30 minutes before exercise. Do not exceed 1 scoop or 1,000mg (1g) in one sitting.